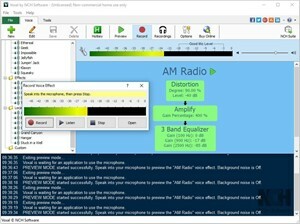 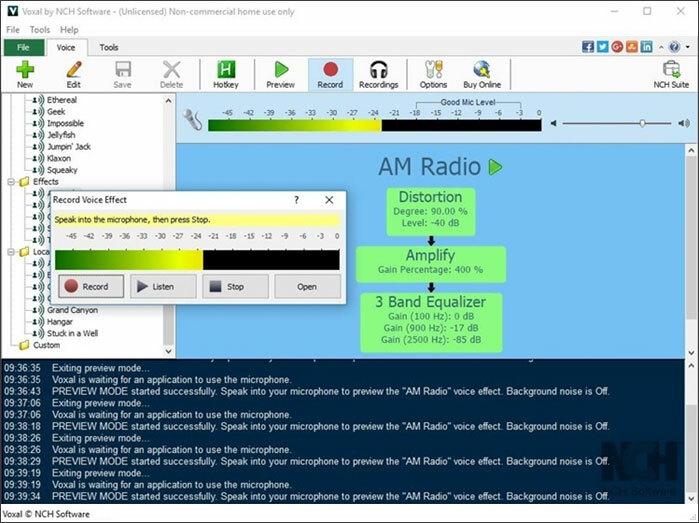 Voxal is a voice changing program for Windows that lets you create chains of effects to manipulate recorded vocals or apply to your voice in real time. 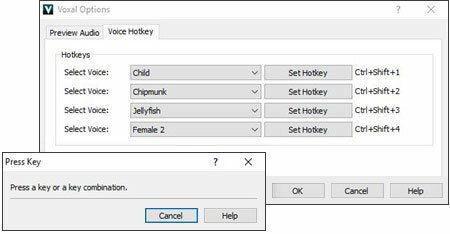 Change voices for voiceovers and other audio projects, or create voices for online video games and avatars. 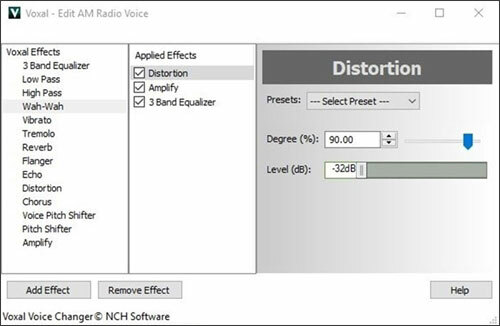 Adjust the settings and order of vocal effects in the effect chain. 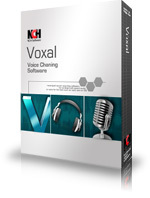 Voxal is designed to be very easy and intuitive to use, simply download now and install and you will be creating voice distortion patterns in minutes.